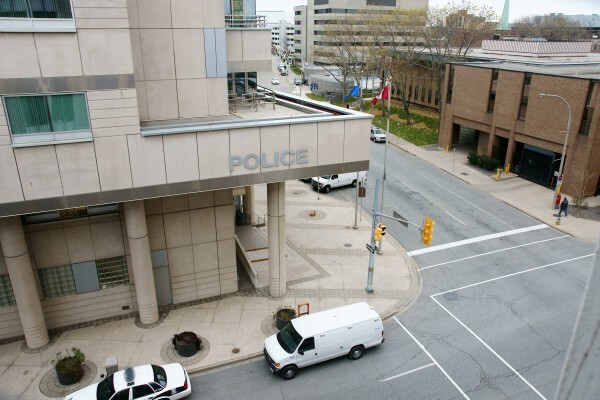 Windsor Police announced this morning, that they will be the host police force for the 51st Annual International Police Hockey Tournament to be held here on March 1st and 2nd, 2012. This is the first time that the tournament has been held in Windsor and all participants playing in this tournament must be sworn law enforcement officers. This tournament is 100% not for profit and the proceeds will benefit three local charities The Law Enforcement Torch Run to Benefit Special Olympics Ontario, Transition To Betterness and Paws For A Cause. Police estimate that in excess of $25,000 will be donated to these very worthy charities from the proceeds of the tournament. There are 84 teams currently registered to play in the tournament in seven different divisions including 11 women’s teams. Between 1000 and 1200 players will travel to Windsor to participate in the tournament. Teams registered in the tournament hail from Ontario, Quebec and the United States. All available ice surfaces in the City of Windsor including two ice pads at Tecumseh Arena will be utilized all day Thursday and Friday of this week to accommodate scheduling requirements, and between 500-600 hotel rooms in downtown Windsor will be booked to host the tournament participants. For more information regarding the tournament, including the list of teams and tournament game schedule, visit the tournament website.